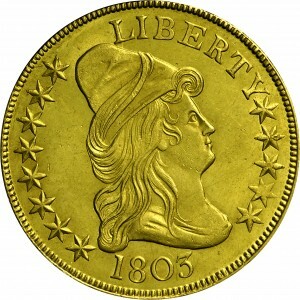 This variety was once considered a rarity; however, it is now considered the most common 1803 die marriage. An intriguing aspect of the reverse die is the presence of a tiny star on the top surface of the cloud farthest to the right. This feature was first discovered and publicized by Harry Bass. Walter Breen noted that Harry Bass discovered this variety at the 1966 ANA Convention. 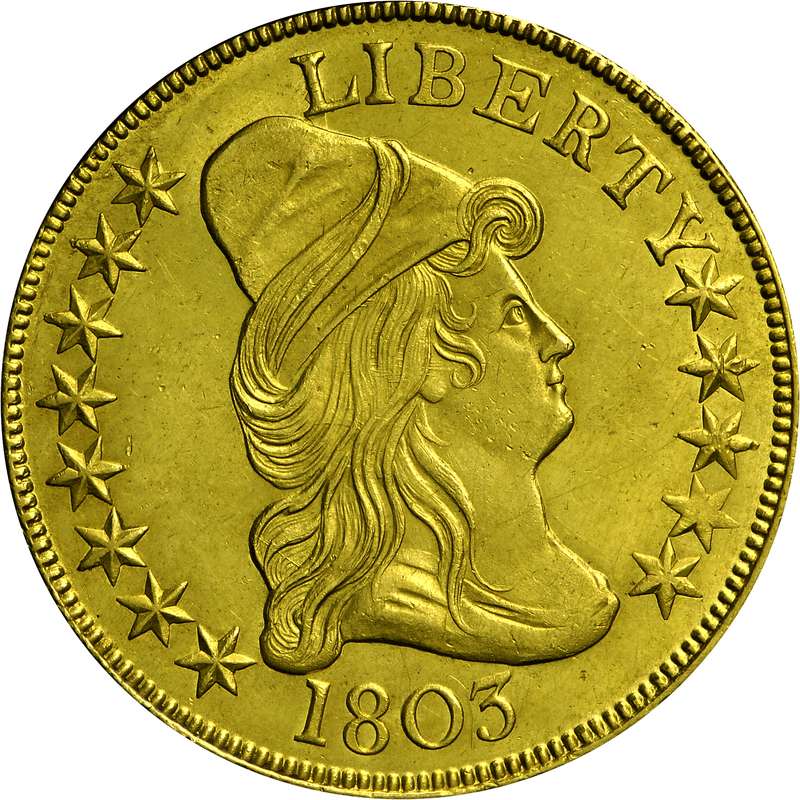 This example demonstrates an early die state, with light obverse die cracks and a perfect reverse die. 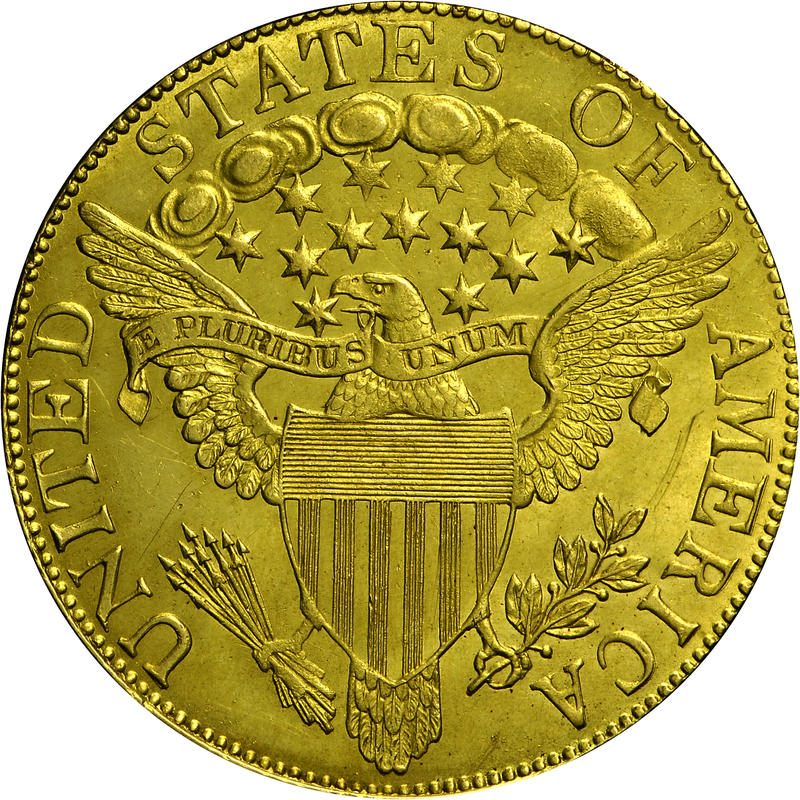 "Obverse: Stars Type III, as 1801 2. Relapped. Reclashed: L, hair, throat. Lump atop I. Crack BERTY. Reverse: Large stars, as in 1804. Large berries. Small 14th star punched within last cloud. Berry centered under A. Short stem."